Overlooking the majestic Dhauladhar ranges, Palampur is a captivating traveller spot in the Kangra valley. 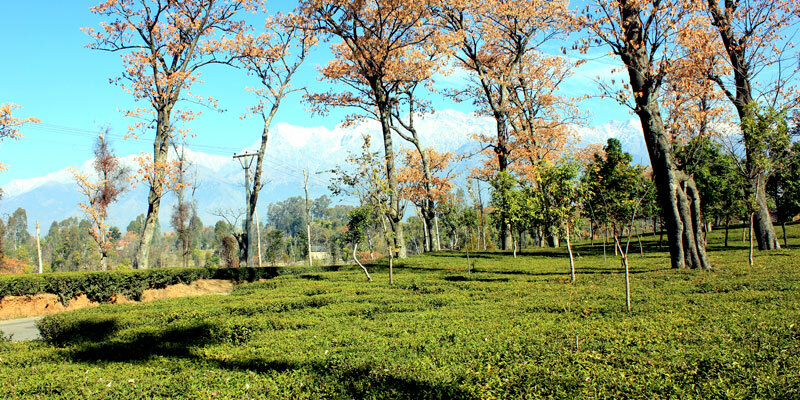 Palampur is well known for its tea gardens and fine quality of tea which possess medicinal values. 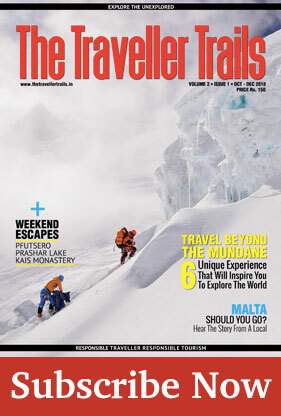 The pleasant and salubrious climate of the place is a prime motivating factor that drives tourists to this place. Palampur is an eminent destination for pilgrims, honeymoon couples and adventure lovers. 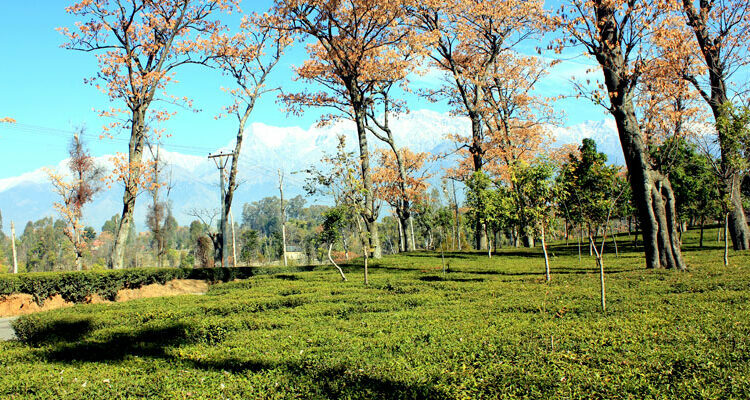 Here are the some of must visit places near Palampur. 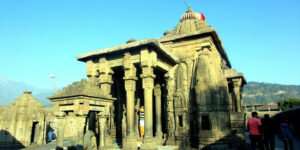 Baijnath: One of the twelve jyotirlingas, Baijnath temple is one of the ancient and most remarkable temples depicting the rich Indian heritage. Splendid architectural designs and carving works in the temple are believed to be associated with Ravana, who worshipped Shiva at this spot and gained immortality. The temple resembles that of Jagannath temple in Puri. Shivratri is a well-celebrated fair by the devotees. Shobha Singh Art Gallery: Andretta is the home of the famous artist, Late Sardar Shobha Singh and plays writer Late Norah Richards. The portraits of famed Punjabi couples Hir-Ranjha & Sohni-Mahival, portraits of Indian national heroes, and one of his main focus Sikh Gurus, their life and work are displayed in the art gallery. It is an important art center holding great value in Punjab’s heritage and a must stop destination for the art lovers. Saurabh Van Vihar: Established in the memory of Martyr Lt. Saurabh Kalia, who sacrificed his life during Kargil war on 9th June 1999, Saurabh Van Vihar is a nature park overlooking Dhauladhar range. 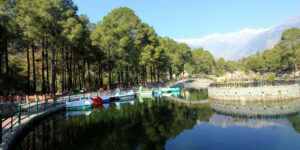 Managed by the Himachal Pradesh Forest Department, the park has become a popular picnic spot offering boating, bird watching and nature walks. Jakhni Mata Temple: Perched on top of the hill offering some of the splendid views of Dhauladhar ranges, this temple is dedicated to Devi Latti Jakhni. The holy shrine is accessible by road or one can hike up to the temple. Bir – Billing: Bir – Billing is very popular places for adventure lovers who wish to indulge themselves in Camping, Paragliding, and Trekking. Famous spot for paragliding, Billing is Asia’s highest Paragliding Point. Bir is the take-off site and Billing is the landing spot. Bir village also houses a Tibetan monastery. Tashi Jong Monastery: Abode of Tibetan refugees and a prominent place of reverence for Buddhists this monastery belongs to Tashi Jong community. Tibetan artifacts are also available in the craft emporium. The monastery is one of the great places to feel the culture and the colorful traditional artwork of Tibet.